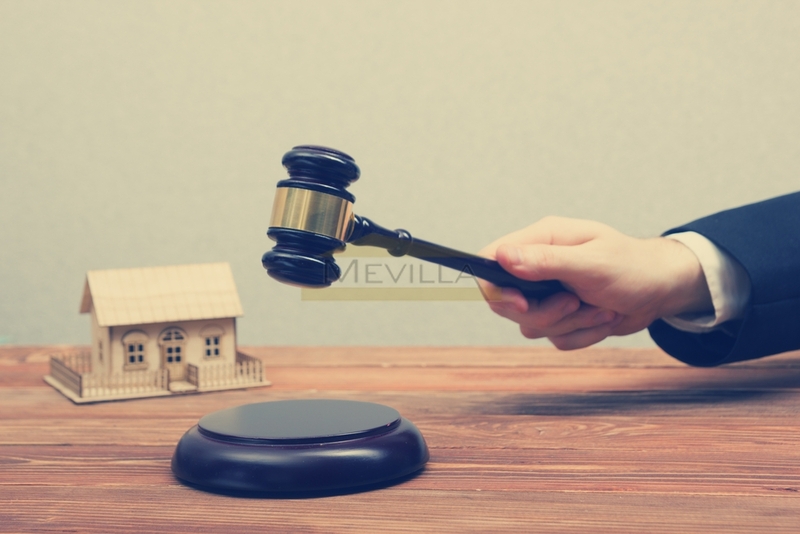 Sentence 05/05/2015 of December 23 of the Supreme Court declared abusive the clause in which the BBVA imposes to the borrower the payment of all the expenses, taxes and commissions derived from the mortgage loan. First, a complaint must be made to the Customer Service Department of the Bank or Entity with whom the mortgage loan was contracted or, if applicable, the new Entity that has merged or absorbed the person to whom the money was requested For the constitution of the mortgage). After two months from the complaint, the Customer Service Department has replied or not and provided that the answer, if any, has been negative, it may proceed to file the corresponding legal action before the judicial party of the domicile of the borrower Or debtor or of the Bank's registered office, without distinction. What is to be requested in the lawsuit brought before the Court, will be the nullity of the clause for abusive, and the restitution of expenses paid as a result of said agreement, which must be perfectly documented with their corresponding invoices. For the type of procedure to be filed, it will be necessary the intervention of Attorney and Attorney. 1 Notary's Invoices and Property Registry. The Supreme Court says in its ruling that, "with regard to the formalization of notarial deeds and registration of the same (necessary for the constitution of the security right - that is, the mortgage), both the fee of notaries and the notary Of the registrars of the property, attribute the obligation of payment to the applicant of the service in question or to whose favor the right is registered. And who has the main interest in the documentation and inscription of the deed of mortgage loan is undoubtedly the lender, because thus obtains an executive title, constitutes the real guarantee, and acquires the possibility of special execution. By not allowing a minimum reciprocity in the distribution of the expenses produced as a result of the notarial and registry intervention, making all the debtor pay, an imbalance is generated to the consumer, reason why the clause is abusive. 2 Tax of Documented Legal Acts. According to the Law that regulates the Tax on Patrimonial Transmissions and Documented Legal Acts: "the acquirer of the property or right and, failing that, the persons who request or request the notarial documents or those in whose interest Issue. " The Supreme Court understands that in reference to the Tax on Documented Legal Acts, the taxpayer is the Bank or lender. That is to say, the obligor to the payment of this tax, as much as its fixed quota -like of the notarial paper-, like in its gradual quota, is precisely the Bank and not the borrower or debtor mortgages; So it is a tribute to include in the claim.